Listen to a Columbia Conversations interview with Felix Banel of the Washington State Historical Society that touches on Jack’s approach to writing about a regional landscape, his recent award of the Robert Gray medal, and his books from Sources of the River to The Dreamer and the Doctor. The Washington State Historical Society has awarded the Gray Medal, its highest honor, to Jack Nisbet. Posted by Jack Nisbet on Sep 17, 2018 in News | Comments Off on The Washington State Historical Society has awarded the Gray Medal, its highest honor, to Jack Nisbet. The presentation will take place at the society’s annual luncheon on September 22nd. On May 24 at 7 pm at the Fort Vancouver Visitor Center, author Jack Nisbet will provide a free public presentation titled “David Douglas’s Nine Lives” on how Douglas managed to stay alive while he was in the Northwest, what his collections mean to us today, and what really might have happened at the scene of his death. Join Jack Nisbet for a journey back in time to the iconic lookout of Steptoe Butte. We will visit the site of the Coplen Brothers’ 1876 mammoth find, talk about the flora and fauna that lived here during the last Ice Age, and walk the flower-strewn slopes of Steptoe on a spring afternoon. Jack’s newest effort, which traces the unlikely saga of John and Carrie Leiberg, will be out this October from Sasquatch Books. John was a prospector and naturalist who published landmark investigations from all over the Intermountain West in the late nineteenth century. Carrie was a practicing physician who kept a much lower profile, but made a habit of appearing at the nexus of social and public health issues of her time. Full of surprising twists and turns, the Leiberg story resonates forward with a decidedly human glow. Jack will be in Sandpoint to speak about biscuitroots to the Native Plant Society on Saturday morning, January 27. The date has changed from August 8th to August 7th for “A Possible Friend: William Morley Manning and Families of Chief Joseph, William Three Mountains, and Masseslow” event at Colville Public Library. We apologize for any inconvenience. Jack has written the introduction to Montana’s Pioneer Botanists, a long-awaited publication of the Montana Native Plant Society. 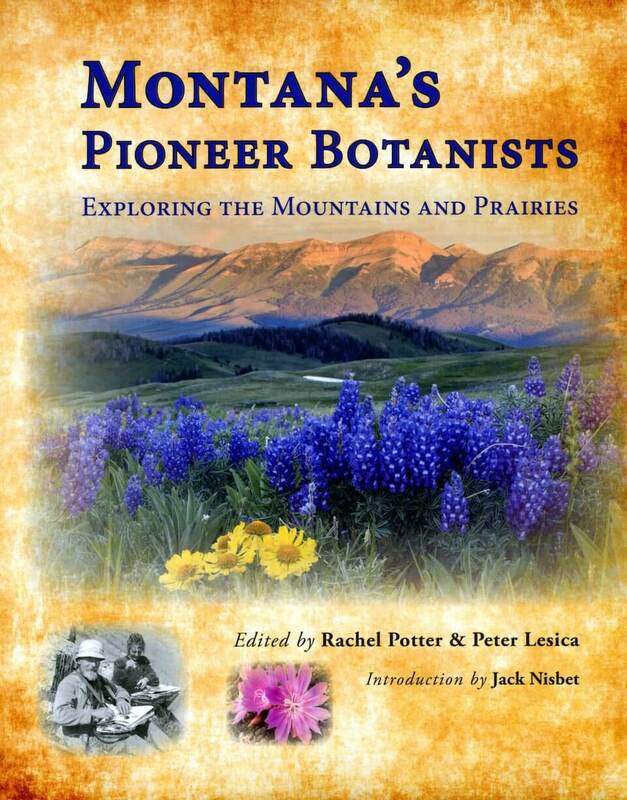 Edited by Rachel Potter & Peter Lesica, this beautiful book includes biographies of Montana’s iconic plant collectors written by some of today’s most respected naturalists and scientists. To find out more, visit www.mtnativeplants.org.